Fall is finally upon us, and it’s the best season to gather with family and friends. As the leaves change color and the air begins to crisp, everyone is in the mood to get cozy and celebrate the season that marks the start of the holidays to come. 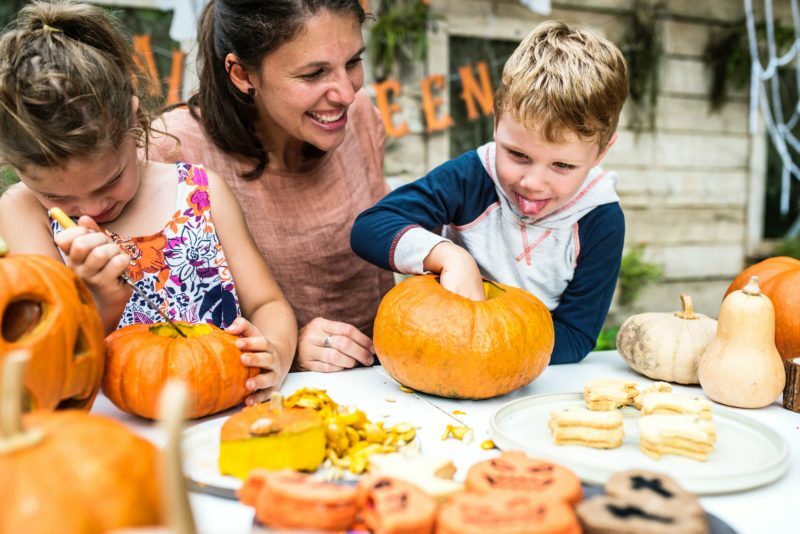 So, it’s time to throw a fall-themed party! 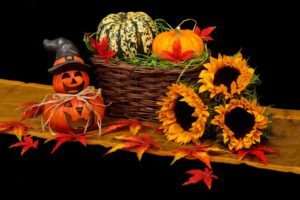 Whether you’re planning a spooky Halloween bash or planning ahead for Thanksgiving, every good party needs the basics: good food and drinks, beautiful decorations, entertainment, and a few special touches. 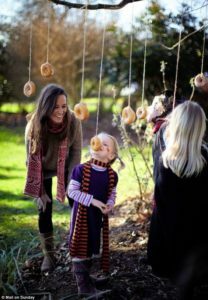 Some of kNEEBU’s event specialists have a master list of tips and ideas to throw the best fall-themed party this year, and for many years to follow. The most important part of every great party is really good food and drinks. There are so many fun fall-themed idea—guests will enjoy every bite and sip! 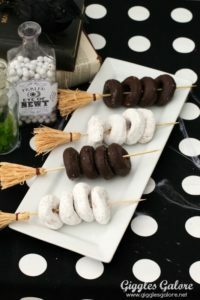 You can make a donut wall, donut skewers, a basket of donut holes….everyone loves donuts in any form. 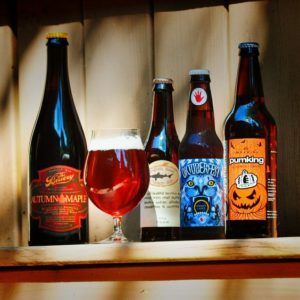 There are lots of hard ciders and fall-themed beers that will be a hit with the adults. 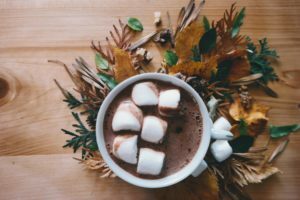 Hot cider is a must, but hot cocoa is also a warm and cozy fall drink. 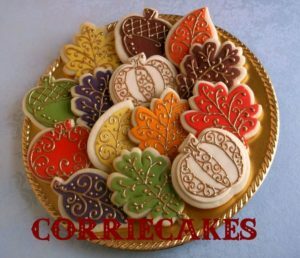 Leaves, pumpkins, acorns—find a baker who can make themed sugar cookies. This is always a guest favorite. 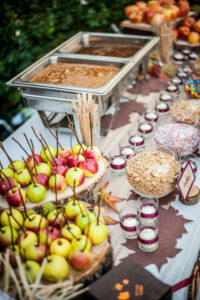 Set up a station with all the caramel apple essentials and let guests make their own caramel apple, with any topping they desire! 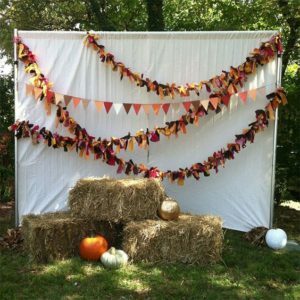 Your decorations set the aesthetic for your entire party— want your guests to really feel the warmth of fall. 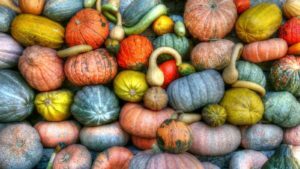 A few basics can make the best fall-themed decorations. You can get them in any size and use them in a ton of different ways! You can use real, fresh flowers and leaves from your yard. If you want to get some that you can re-use for future parties, go to a local craft store and get some artificial flowers and leaves—they can look just as real! 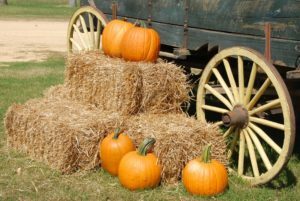 Use them as seats by the fire, or stack them to display other decorations, like pumpkins. 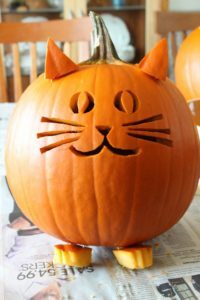 Buy some mini pumpkins and hide them around your house and yard. This activity is always a favorite for kids! Did we mention how much people love donuts? This one’s a classic and never gets old! 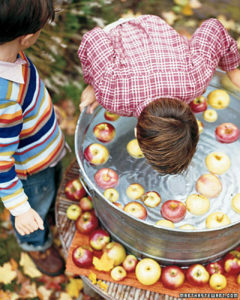 Just get some apples from the store and a few big buckets. 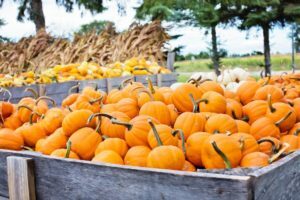 The most important fall activity! If carving is too messy, painting is just as fun. Buy some fun, cheap props and set up a photo booth. You can rent one, or even just hire a photographer to take candid shots of guests with the props. kNEEBU can connect you with the best photographers in your area. This all sounds so great—every aspect of the most perfect fall-themed party. But, the to-do list can be, well, spooky! The good news is that you don’t have to do it alone—there are professionals who know every secret to make your party a hit. From decorators and party planners to photographers and personal in-home chefs, kNEEBU connects you with some of the best service providers in the greater Chicago area. Find out the connections kNEEBU has for you! Click here to learn more about how the kNEEBU app works for customers. For business owners and individuals who provide services, like party planning and decorating, the kNEEBU app is an easy way for you to connect with new customers, build lasting relationships with repeat customers, and market yourself in your community. In one single app, service providers gain new business by building trust with top-notch customer service and can have the confidence their satisfied customers will refer them to other amazing customers. By signing up for kNEEBU, you are opening up your business’s footprint to a whole new audience. The kNEEBU app is a direct connection to the exact consumers you need to grow your business. You could even consider creating a fall special with a variety of services and a discount for anyone who hires you again in the spring. The opportunities are endless and kNEEBU users are looking to you to make their lives easier. Download the kNEEBU-Provider app now for iOS or Android. Use the special promo code: “NOFEE1118” to skip the service fees now through November 30, 2018.